In 2017, 57K international students told us whether recent events were prompting them to change their desired study abroad location. Interested? We published our findings in our latest Know Your Neighborhood report produced with FPPEDUMedia. 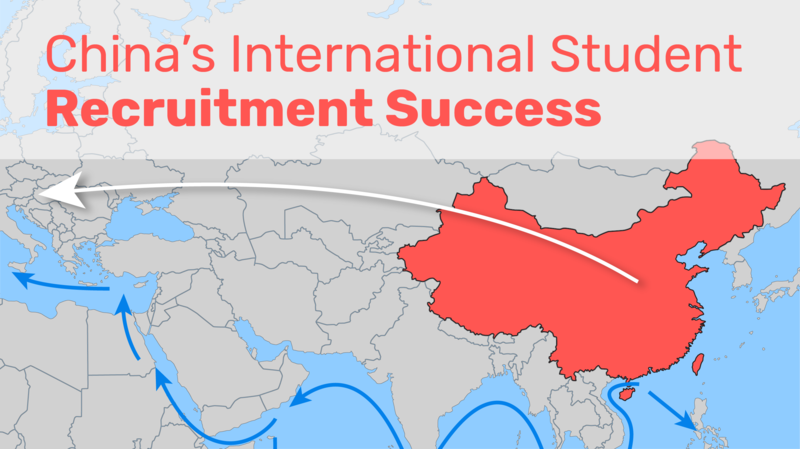 Props to FPP's database of more than 1.8M international students choosing a study destination! Students interested in changing their minds told us that the top reason was not enough scholarships (31%). And, 88% of respondents said they would be less likely to study in the US if the government restricted work opportunities for foreigners. Frankly, all of the data points to career opportunities as a primary motivator. Always surprises us that this is not a core message in so many universities' marketing. But we digress. Understanding the importance of these two factors, scholarships and work oppotunities, let's look at how China's "One Road One Belt" policy (see image above) is a significant factor in creating a supportive economic loop among many Eurasian countries (see explanation below). 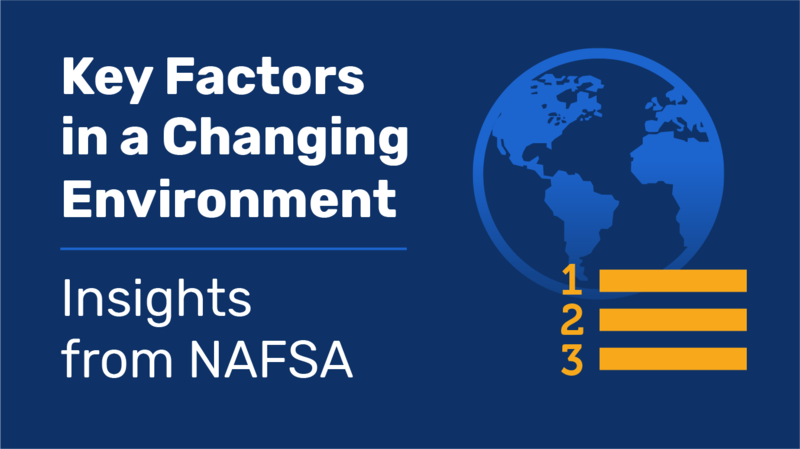 Before we dive into all of that, we hope you will be joining us at NAFSA where we can show you how to garner internal support for your global recruitment initiatives! We will be presenting "Who's Got Your Back? Building Internal Support for International Recruitment" with with Dr. Martyn Miller, Assistant Vice President for International Programs at Temple University and Dr. Jon Stauff, Vice Provost for Global Education at Monmouth University on Wed, May 30 at 1 pm. We hope to see your smiling faces in the audience! And please, ask us any questions! We love an engaged audience. The challenge of building on-campus support for your plans and budget is common across all of the universities we talk to. Let us know if you'll be there (info@intead.com).